New clients and all our current patients are welcome to visit us with their current prescription - no appointment necessary. 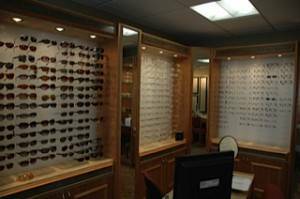 We carry a large variety of top designer frames for both eyeglasses and sunglasses. Some of the designer lines we carry are: Coach, Nike, Elle, Michael Kor, Nautica, Silhouette, BB, Calvin Klein.